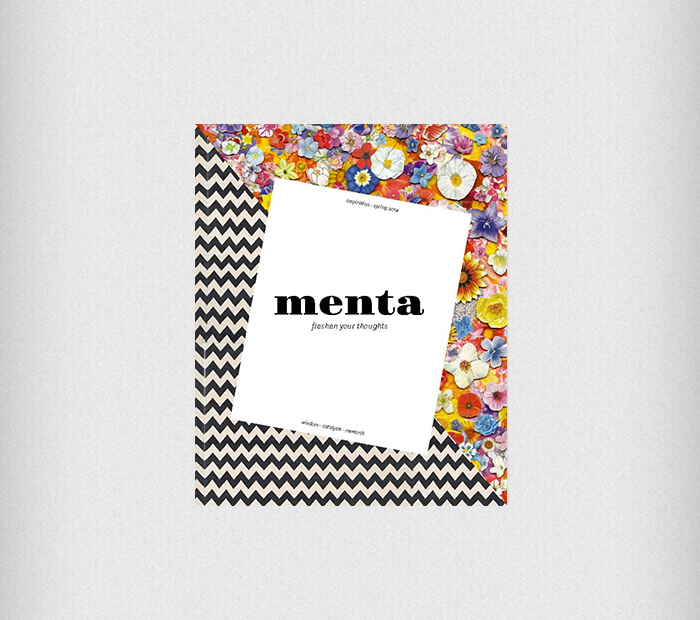 Menta means mint. 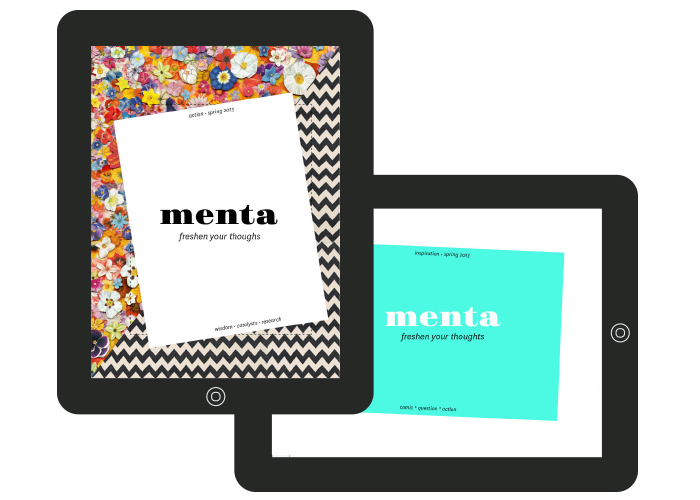 This publication is meant for artists or anyone who struggles with creative process. Its goal is to inspire creative thought and action. The first half is filled with interviews, eye candy, neuroscience and latest research information. Midway through, the interactive flip side is structured like a workbook, filled with questions, activities and challenges. The interactive portion forces the reader to change their perspective and flip the publication upside down to get busy with the creative process by providing stimulating activities proven to boost creativity. A single color and ample white space in interactive portion invite the reader to let their creativity spill onto the pages. The digital publication provides the same two-sided experiences as the reader changes from horizontal to vertical orientation.